The entire collection of Greatest Hits is now available as a single book. 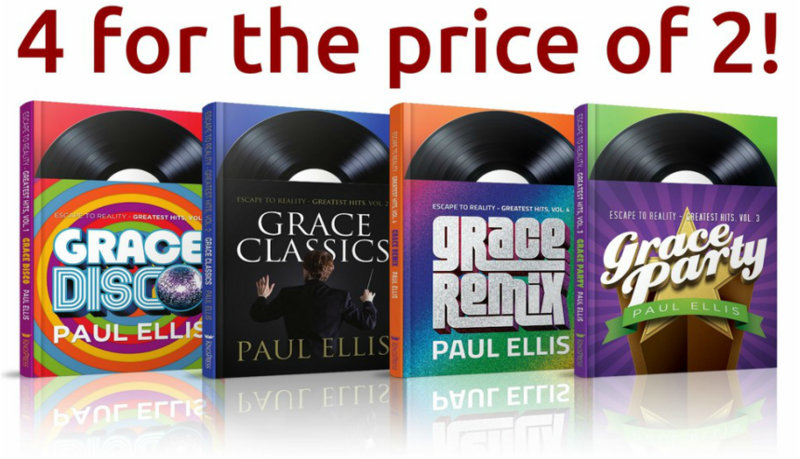 This ebook includes all the articles from Grace Disco, Grace Classics, Grace Party, and Grace Remix plus all the bonus tracks. With 60 grace-packed articles and personal reflections from the award-winning author of The Hyper-Grace Gospel, this is a massive grace feast at a bargain price! This fantastic deal is not available anywhere else! Gift a copy to friends or family. Grab one for your pastor. Read it on your iPad/iPhone using the Kindle or Gumroad apps.